Highly anticipated: Back at CES earlier this month, AMD unveiled the next generation of its gaming GPUs: Radeon VII. It’s just over a week until the official launch date, but ASRock already has a product page for its take on the graphics card. The ASRock Phantom Gaming X Radeon VII 16G comes with 1 TB/s memory bandwidth, 16GB of HBM2 (second-generation high bandwidth memory) and a 4,096-bit memory interface—features that AMD CEO Lisa Su talked about at the company’s CES keynote. Additionally, ASRock’s card has a base clock of 1400 MHz, boost clock of 1750 MHz, and 3 x display port / HDMI. Key features include a triple fan design, metal backplate, and Radeon FreeSync 2 HDR. The fact Radeon VII is set to be the first ever 7nm gaming GPU is also mentioned, of course. While this is a gaming card first and foremost, ASRock notes that the Radeon VII is perfectly suited for memory intensive and graphically demanding applications related to content creation. 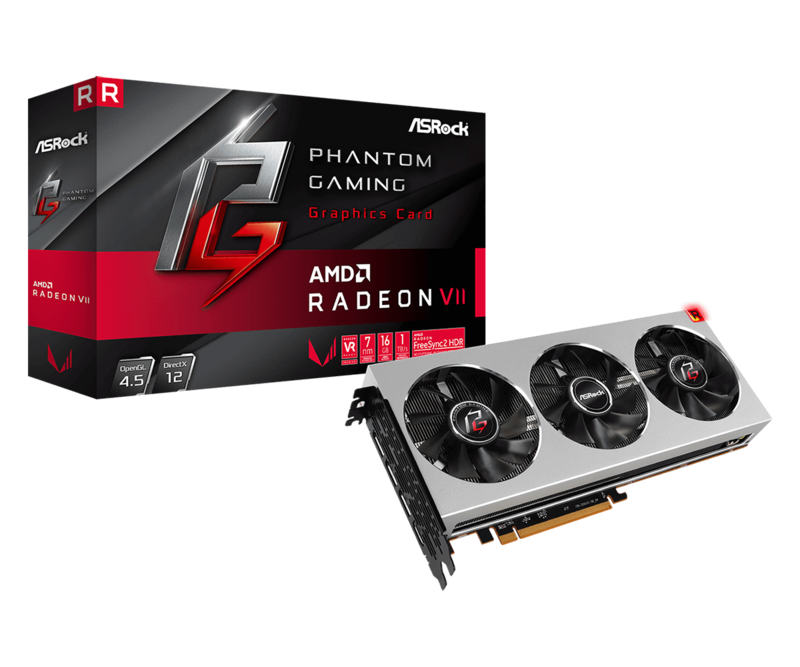 “ASRock Phantom Gaming X Radeon VII 16G graphics card delivers extreme graphics performance to humble the most visually demanding games and real-time content creation programs. Powered by 7nm technology, Radeon VII has 45% more memory and 66% more memory bandwidth than other the competitive gaming GPUs in its class, delivering vivid gaming visuals in up to 4K and virtually limitless content creation in 8K, VR and more,” states the page. Radeon VII is set to be a cheaper rival to the RTX 2080, and early gaming benchmarks put it at 25 percent to 35 percent faster than a Vega 64. There have been rumors that the upcoming card could face supply problems when it launches on February 7, but AMD said, somewhat vaguely, that it fully expects supply to meet demand.